Over the last year or so, cordless portable soldering irons have become all the rage. In fact, at this point a good number of Hackaday readers out there have likely traded in their full-size AC irons for a DC iron that’s only slightly larger than a pen. But before the big boom in portable irons, in the ye olden days of 2014, we brought you word of the open source Solderdoodle created by [Isaac Porras]. Based upon the Weller BP645 and featuring a 3D printed case, the DIY iron was designed to be charged from a standard USB port. Now, [Isaac] is back with an updated version he calls the Solderdoodle Plus. It’s still based on the heating element from the Weller BP645, but now boasts twice the power, an improved 3D printed case, an intuitive touch-based user interface, and even some LED blinkenlights for good measure. As with the original Solderdoodle the hardware and software for the device are open source and you’re invited to build your own, though kits are also available through an already fully-funded Kickstarter campaign. [Isaac] says that the temperature control functions on traditional corded soldering irons waste energy due to the large thermal mass they have to bring up to temperature. But with less thermal mass and a system of variable duty cycle pulsed power, he says the Solderdoodle Plus can do the same work as an old-school 60 watt iron while only consuming 10 watts. This allows the iron to maintain a constant 500°C for over an hour on the dual internal Panasonic NCR18500A lithium-ion batteries, and means you can charge it up with nothing more exotic than a micro USB cable. Dexter, an open-source, high-precision, trainable robotic arm has just been named the Grand Prize winner of the 2018 Hackaday Prize. The award for claiming the top place in this nine-month global engineering initiative is $50,000. Four other top winners were also named during this evening’s Hackaday Prize Ceremony, held during the Hackaday Superconference in Pasadena, California. This year’s Hackaday Prize featured challenges with five different themes. Entrants were asked to show their greatest Open Hardware Design, to build a Robotics Module, to design a Power Harvesting Module, to envision a Human Computer Interface, or to invent a new Musical Instrument. Out of 100 finalists, the top five are covered below. Over $200,000 in cash prizes have been distributed as part of this year’s initiative where thousands of hardware hackers, makers and artists compete to build a better future. Dexter is the Grand Prize winner of the 2018 Hackaday Prize. This remarkable robotic arm design brings many aspects of high-end automation to an open source design which you can utilize and adapt for your own needs. In addition to impressive precision, the design is trainable — you can move the joints of the arm and record the motion for playback. The image here shows position data from one arm being moved by a human, controlling another arm in real time. Each joint utilizes a clever encoder design made up of a wheel with openings for UV sensors. Sensing is more than merely “on/off”. It tracks the change in light intensity through each opening for even greater granularity. 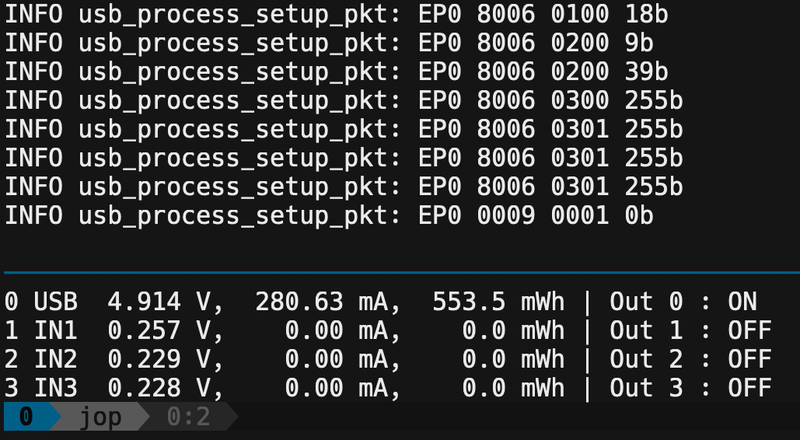 The parallel nature of an FPGA is used to process this positioning data in real time. 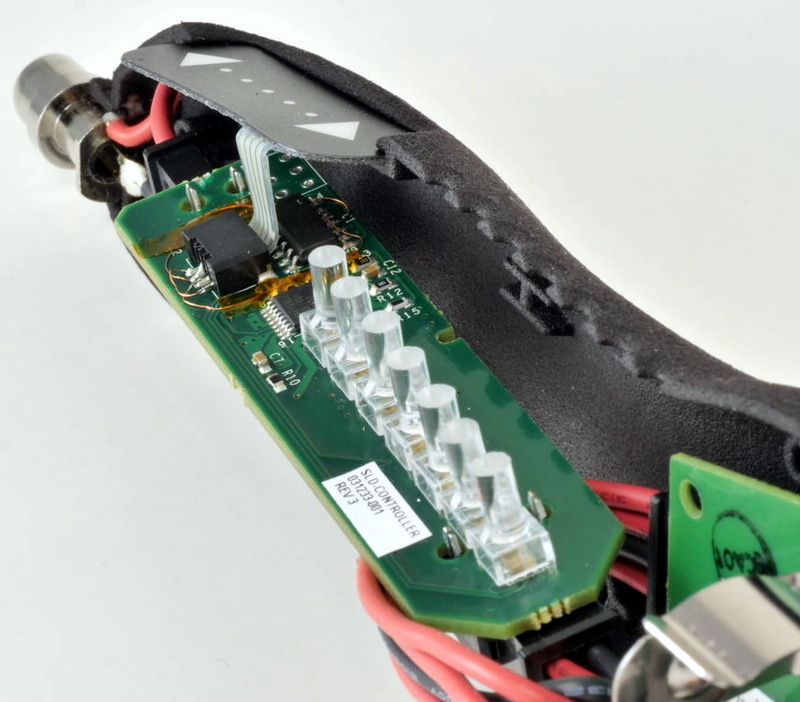 Manufacturing custom electronics is a tricky, costly, and time-consuming process. What if you could sidestep most of that by starting with a powerful, proven consumer good that is modified to your specifications? This project takes existing fitness trackers and customizes the hardware and software to become sensor suites for mental health research. Dig into this one and see how they can help patients become aware of unconscious behaviors (like trichotillomania which is compulsive hair pulling) and change them over time. This project focuses on an alternative power source for times when traditional infrastructure is not functioning or simply not available. You may be familiar with generators made using DC motors. The Portal Point Generator replicates that simplicity, but goes beyond with instructions for building the generator itself for far greater efficiency. A winding jig is used to make the coils which are placed inside of the 3D printed generator parts along with permanent magnets to complete the build. Here you can see it in testing as a wind generator in Antarctica, but it is easily adapted to other applications like using water wheels. There is a body of research that suggest a link between cardiac cycle and anxiety-producing visuals; you may have a different emotional reaction to the things you see based on what part of a heartbeat is occurring when your brain process information from your eyes. This could have profound implications in areas like PTSD research. EmotiGlass uses LCD screens to selectively block the wearer’s vision. This can be synchronized with heat beat, avoiding the instant where a negative emotional response is most likely. Think of them as 3D shutter glasses for mental health research. Recovering from natural disasters is an enormous challenge. The infrastructure that supports the community is no longer in place and traditional communications simply cease to exist. PR-Holonet was inspired by the recovery process after hurricanes in Puerto Rico. It leverages the availability of commercial electronics, solar power sources, and enclosures to build a communications system that can be deployed and operated without the need for specialized training. Once in place, local devices using WiFi can utilize text-based communications transferred via satellite. Congratulations to all who entered the 2018 Hackaday Prize. Taking time to apply your skill and experience to making the world better is a noble pursuit. It doesn’t end with the awarding of a prize. We have the ability to change lives by supporting one another, improving on great ideas, and sharing the calling to Build Something that Matters. Today at the Open Hardware Summit at MIT, OSHWA, the Open Source Hardware Association has announced a huge revision to the Open Hardware certification process. The goal here is to design a better platform for creating Open Hardware. While all hardware already certified as Open Hardware will remain Open Hardware, this revamp of the ‘hub’ of the certification process is greatly improved. There’s a new website. There are learning modules telling everyone what it means to be Open Source hardware. There are community examples — real-life walk-throughs of projects that have already been created. There’s a streamlined certification process, and an improved listing of Open Hardware projects. But Why A Certification Program? While Open Source in the world of software is easily defined, it is effectively a hack of copyright law; all software is closed by default, and an Open Source software license is merely that; a license for anyone to use it, with the various restrictions and philosophical battles. Hardware, on the other hand, is big-O Open by default. The code used to program an FPGA is covered by copyright, but the circuit itself isn’t. The firmware on your Arduino project is covered by Open Source software licenses, but the physical implementation of your Fritzing picture isn’t. In the absence of a legal framework to truly make an Open Hardware license work, the only other option is a certification program. The current Open Source Hardware certification program launched in 2016, and has since seen hundreds of projects certified from dozens of countries. It is, by any measure, a remarkable success. The people who make hardware are certifying that their work complies with community-set standards, and all of these projects are registered. Compared to last week’s version of OSHWA’s website, this is a huge improvement. Now, you can easily find information about what it means to make Open Hardware. The complete directory of Open Hardware projects isn’t just a spreadsheet on a webpage anymore, you can actually search for projects now. This is a huge improvement to the Open Hardware certification program, and we can’t wait to see how this new platform will be used. 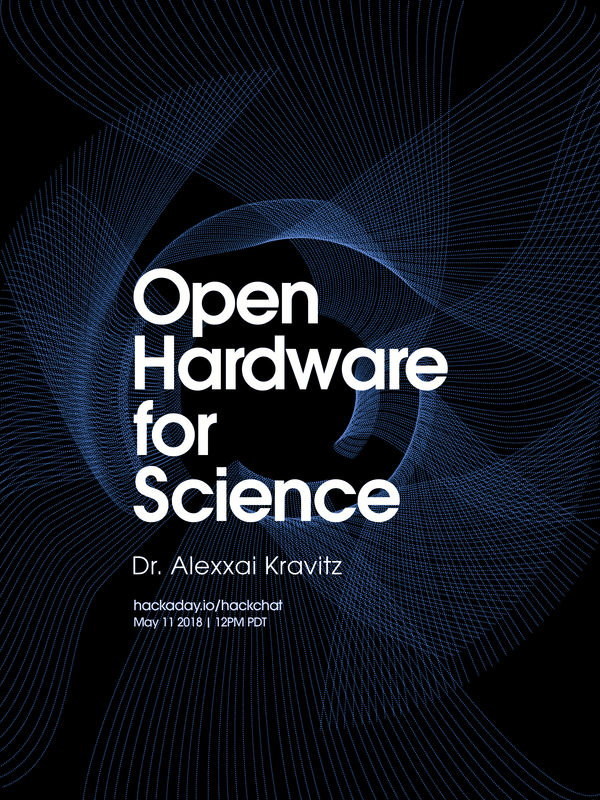 You can check out the rest of the Open Hardware Summit over on the livestream. The past few years have been all about electronic conference badges and this year is no different. Right now, we’re setting up at the Open Hardware Summit at MIT, and this year’s badge is nothing short of extraordinary. It’s a WiFi and Bluetooth-enabled e-paper badge, individually programmed for every attendee. The 2018 Open Hardware Summit badge is a work of art, and it was all created over on hackaday.io. This board is based on the ESP trINKet designed by [Mike Rankin] with additional hardware design from [Alex Camilo]. The badge is based around the ESP32-wroom-32 module with a 2.13 inch e-paper display with a resolution of 250 x 122 pixels. To this, the badge adds an I2C accelerometer and support for add-ons. There’s also pads for an SD card holder — a soldering challenge, if you will — and few additional pads for bits and bobs. But a badge is nothing without software, and that’s where this really gets good. The ESP32 module is a powerhouse, capable of emulating NES games or serving as a file server. Here, the stock configuration of the badge is rather simplistic: you can start a WiFi AP, log onto a web page, and change the name displayed on the badge. You can also start an FTP server, which is where things get really fun. Drop an application on that FTP server, and you can run Micro Python. 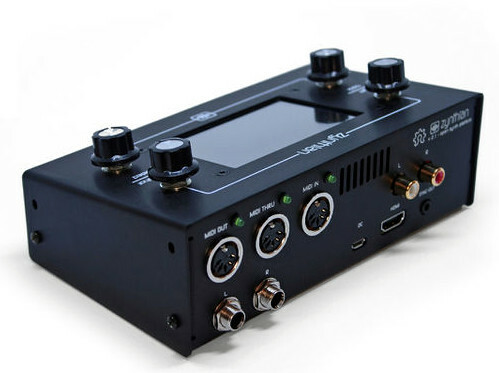 At the most basic level, the Zynthian is a Raspberry Pi 3 with a touch screen, a few rotary encoders, a dedicated sound card, and MIDI support. Software wise the biggest feature is arguably the real-time Linux kernel for the lowest latency possible. There’s also a custom web interface so you can control the Zynthian from another machine on the network if you want. As a matter of course, it also includes a wide array of pre-installed audio packages to experiment and create with. Kits are offered at various prices from $420 USD for the top of the line model down to unpopulated PCBs for a few bucks. We like that they broke things down this way; allowing users of various skill (and or patience) to pay what they want. If you just want to buy the custom boards and roll your own case and Pi solution, you can do that. If you want to go all in, you can build one entirely from scratch as well. Everything from the CAD files for the case to their custom rotary encoder library is completely open (most licensed under GPL v3) for anyone to use however they see fit. There’s even a page in the wiki for listing hardware which isn’t officially supported by the project, but remain as options for those looking to cut their own path. Synthesizers are a fairly popular hacker project, from Google’s AI-powered version to single chip exercises in frugality. If you want to learn even more about the fine line between digital noise and music, check out this fantastic series by our very own [Elliot Williams].